Kitchens, bathrooms and floors are just a few of the many surfaces you can clean. 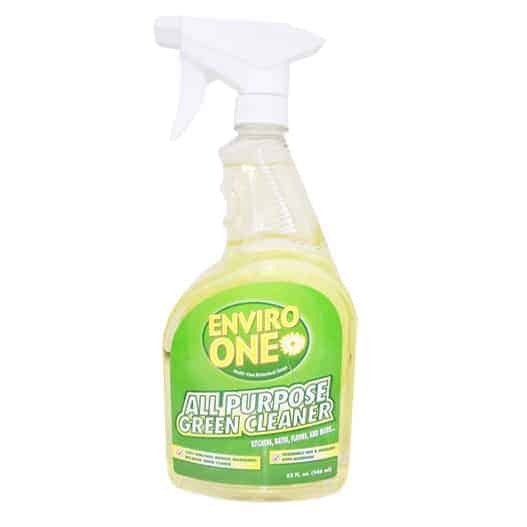 Enviro-One All Purpose Cleaner emulsify grease and breaks up dirt as well as if not better than traditional cleaners but without the toxic ingredients. Counters, floors, appliances, metals (stainless steel & chrome), sealed granite sinks, dishes (dishwasher safe), walls, bath tubs, toilets, concrete, and more. Enviro-One All Purpose Green Cleaner can be used on just about any washable surface. 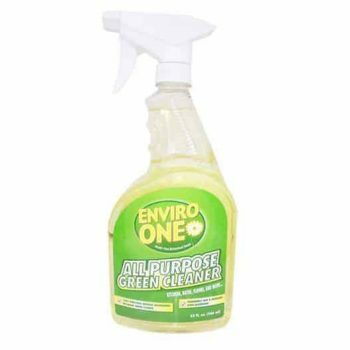 Enviro-One All Purpose Green Cleaner can take the hard work out of cleaning. Our house cleaner can be used to clean just about any washable surface. Simply spray and wipe.